Is one of your New Year's resolutions to get more done quicker? Try out one of these apps/services. Staying productive can be daunting. If you've got a family, other responsibilities to juggle, a job, or even hobbies, you know it can be difficult to go day to day getting everything you need done. But you know what you have in your arsenal? A whole swath of apps meant to keep you on the right track, no matter what you have to do in your own personal life. Grab some of these apps and get started on the road to getting things done. For real this time. No excuses. Need help making a difficult decision about a job or general coaching advice? Don't waste time looking for someone to consult if you've got a deadline. Use Unstuck, an app that uses a specialized series of questions to help you arrive at a conclusion that works best for you. Voila! Stuck no more. We've all had to rely on a simple flip of a coin to accomplish exactly that many times in our life, so why not do it more intelligently? Coming from someone who uses Slack daily, this is an invaluable tool that you'll want to use as much as possible, especially if you have to keep in touch with a multi-person team. 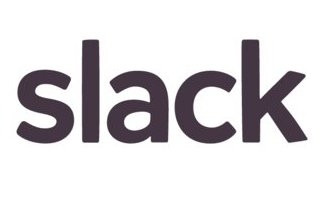 If you've got multiple Slack teams, the app can handle that as well. Push notifications ensure you're kept up to date even if you can't keep the app itself open. It's saved me several times in fact, so I can attest to its usefulness for sure. Sure, the notepad app on our flagship phone lets us take notes, but then we've got to send those notes to ourselves via email or ensure they're in the right format. Evernote is a free service and app that will not only let you notate what you want, but it's accessible across several devices.